Responsible for providing a variety of sales and customer service related functions for consumer direct borrowers through extensive knowledge of loan product and predetermined alliance partner guidelines. Partners with Credit and Operational teams during the loan acquisition process. Primary focus is Inside Sales. Answers all inbound calls and written communication for the purpose of selling Essex Credit RV/Marine lending products and services. Effectively educates customer on the features and benefits of Essex Credit and our alliance Partners financing plans and programs. This may include recommending alternative lending sources that best fits the customer's need. Builds rapport and strengthens client relationships during the sales interaction while providing information on loans as requested including application status, funding information and documentation requirements. Works closely with the customer, Credit, and Operations Department members in clearing loan conditions in order to close and fund loans quickly. Analyzes consumer credit applications quickly including calculating income ratios, collateral values, advance percentages, down payment requirements, maximum loan terms, survey/inspection requirement, and liquidity ratios and determine additional information required for loan approval. Acts as liaison for our clients to resolve issues by utilizing other areas of expertise as needed. Initiate request for research for internal/external customer requests. Understands and adheres to all training and ECC policy, laws, and regulations applicable to role. Reports all compliance issues, violations of laws or regulations in accordance with the steps as defined by ECC. Meets service level guidelines, goals, and production standards based on documented performance criteria and shift worked. Requires practical knowledge of job area typically obtained through advanced education combined with experience. Requires 3 years minimum prior relevant experience. Thorough understanding of banking or other financial institution experience preferred. General knowledge of Marine or RV loan administration preferred. 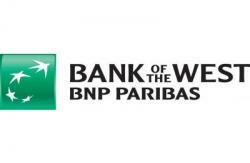 Bank of the West is a strong and prudently managed bank that customers have entrusted with their money for over 135 years. For more than 135 years, our bank’s foundation has been our relationships with customers.